Almondsbury Tennis Club / Almondsbury Tennis Club. 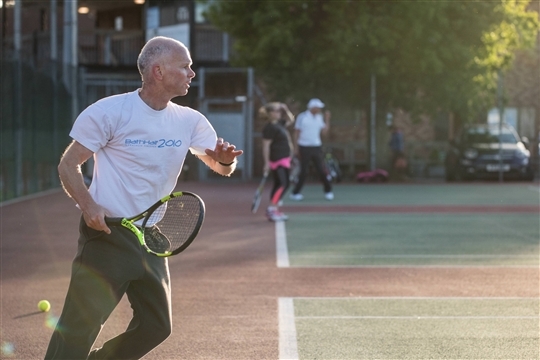 We welcome members of all ages and abilities, so whether you are an absolute beginner, returning to the game after a break, or a regular player you'll find a welcome at the club. 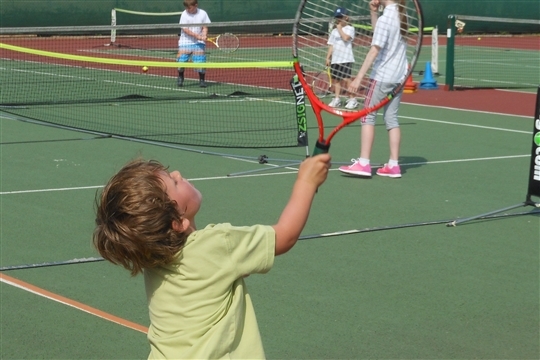 We have great LTA accredited coaches. with lessons for both children and adults. What's available at the club? 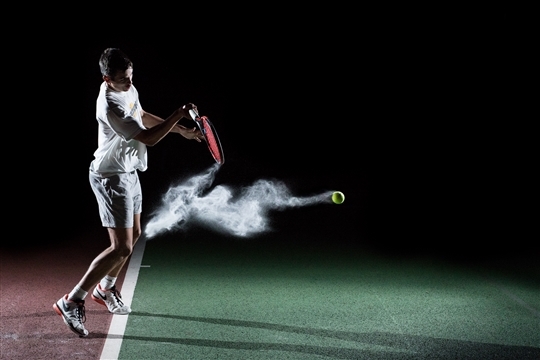 We have four all weather tarmac courts with free floodlights, so we play all year round. There's a comfortable clubroom with catering facilities and members also have access to the Almondsbury Social Club bar, which has Sky Sports TV and has just had a major refurbishment. Check our facebook page for all the latest news! Those wanting competitive play will find opportunities in the Men’s, Ladies and Junior Leagues and LTA Tournaments that are played at the club. 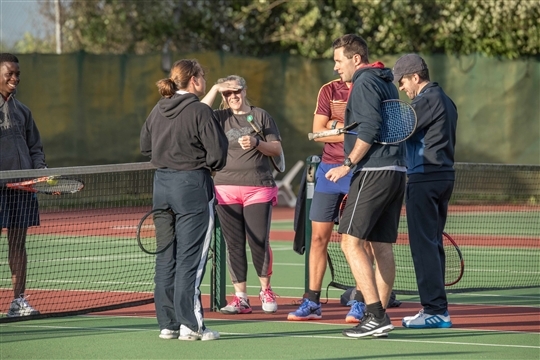 Many members play the game purely as a social activity and will welcome others to join them both at club sessions, club box league, and in games organised amongst themselves. The club runs occasional social events, some tennis based, some not, that all members are welcome to take part in. There is an extensive coaching programme run by our Head Coach and his fully qualified coaching team, who are happy to teach anyone from 3yrs (there's no upper age limit!). We provide flexible membership packages to match your needs.